Cloud computing has become more and more commonplace when it comes to how software is being deployed and consumed. The business of building and delivering software has changed in more ways than one ever since this technology started gaining in popularity. Questions of data and application security are some of the most critical factors when discussing cloud computing, especially when you consider the transformation of core infrastructures like email delivery into a cloud-native service. Below, we will discuss how cloud security might operate, and how it directly addresses some of the greatest software security concerns. Most of these will be applicable for securing cloud services of all kinds but are mainly looking at email cloud services. Emails are used as a primary means of communication due to their reliability and effectiveness in business cases. They are great for driving customer engagement and growth, but this is all dependent on the trust that customers place on emails. Email is universal and cross-platform, which is a main selling point when referring to emails as a main business tool. However, due to its openness, emails are highly susceptible to attack on the server or infrastructure that’s hosting them. When we usually think of email attacks, we usually think of spam, malware, and phishing. The fix is usually verifying email addresses or implementing virus scanners, which have grown much better over the past years. Still, breaches will occur, especially since email is such a big target for cyber-attacks. The IT landscape has developed incredibly quickly. Now, the threat models are so varied that few IT teams actually have the resources to stay ahead of the curve to protect their systems. Aside from the physical aspects like having secure siting, making sure your technological infrastructure can stand up to natural disasters, and even securing it against violent threats, complex issues can come from hosting everything in-house. Network defense and isolation, operation system security and encryption, and specialized hardware can all accumulate into issues that are hard to surpass. Every layer within your stack is a potential vulnerable area, and your team has to secure it. Any weaknesses can be a foothold for someone to attack your infrastructure. Having an in-house team offers no advantages over the cloud. In fact, it actually presents more risk than you’d expect. Risks and costs associated with self-managed email delivery infrastructure, either through in-house or third party data centers, are almost always less secure yet more expensive than more modern, cloud-based alternatives. This is the reason why many progressive IT teams opt for cloud-based email delivery infrastructures. The advantages of the cloud offer businesses flexibility, scalability, and security. ‘Security by design’ is a natural part of modern cloud architectures. Because cloud platforms are usually offered as a service, not just code, operational security is a main quality of any cloud business. They tackle any security issue that it comes into play, both at present and in the future. This quality alone makes the technology much more secure than self-managed systems. The strongest teams that run and secure software are ones who understand the domain space well and who work closely with the developers of the actual software. The interaction between developers and security teams is a major strength of the cloud provider model. Having that ability to quickly iterate fixes and changes to the email delivery system is important in creating a high-performance email that is secure and reliable. All cloud services deliver functional value. These cloud providers are charged with protecting their customer’s security and reputation. While it’s a challenge, it doesn’t have to be a liability. 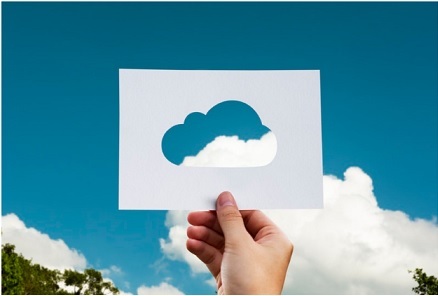 By locking down your messaging and email regarding the cloud functionalities, it acts as a reassurance for your customers that you are able to handle the cloud computing needs they have. The use of cloud systems are much more prominent now, and for good reason. Through unrivaled security and domain expertise, customers get the best in email security, service, and functionality.